I'd say that's metal of the rusty kind. Where is this bridge at? Looks like a pedestrian or single lane bridge. 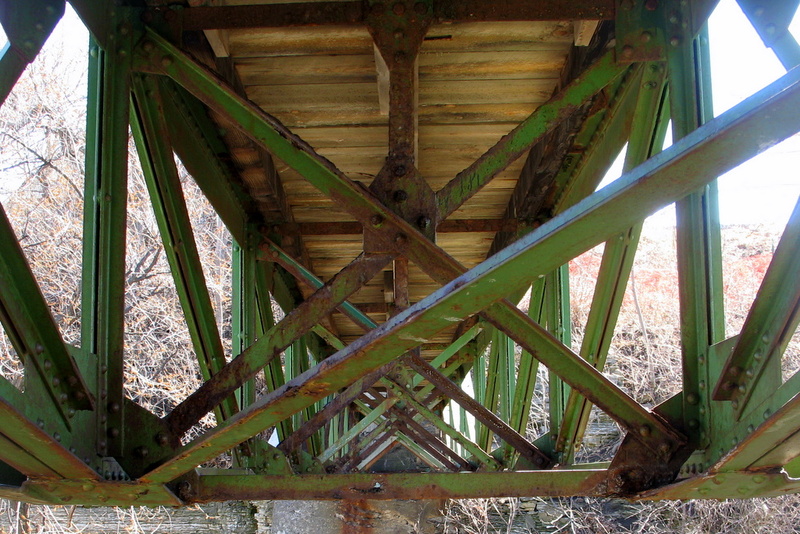 That gusset on the lower right looks seriously compromised by rust, as does the diagonal angle iron connected to the gusset on the left side. I hope this bridge is not in service. If it is it shouldn't be.